The Lincoln Heights neighborhood features large-scale commercial (i.e. Petco, JoAnn Fabrics), fast-food restaurants (i.e. McDonald’s, KFC/A&W), and grocery stores (i.e. Safeway, Rosauer’s). Now a collaborative planning process is underway to try and get the center more in line with its District Center zoning. The Lincoln Heights neighborhood’s primary commercial district, spanning along 29th Avenue from about Southeast Boulevard to about Thor/Ray, is a typical automobile-focused, suburban-style, parking-intense retail development. It is ordinary in every possible way. But did you know that the area is zoned as a District Center under Centers and Corridors? Yes, despite the fact that 29th Avenue spans four uninviting-to-pedestrians lanes of traffic and that the primary commercial units are built with parking setbacks and drive-through windows, this area is zoned as a District Center. (Which probably gives some insight into the relative success of the City of Spokane’s urban planning efforts.) Under Centers and Corridors, the site is zoned CC2, which means that it should be pedestrian-enhanced and auto-accommodating. Naturally, this begs the question: where are the pedestrian enhancements and improvements? Exactly the question that the City’s urban planners are asking. The Lincoln Heights area is currently under design and planning review for changes that could improve the pedestrian environment, resulting in more mixed-use buildings and, if we’re lucky, three- to four-story mid-rise architecture. Developers are reportedly in discussions with the City as redevelopment opportunities are assumed to be on the table at the Lincoln Heights Shopping Center and the older center across 29th. While Pita Pit recently moved in, Wheelsport moved out in anticipation of redevelopment spearheaded by Dave Black. The first neighborhood meeting took place in November of last year, and more are planned for this spring. Last week, representatives from the Lincoln Heights Neighborhood Council walked the area with city planners in anticipation of the creation of a unified development plan. Those with comments are invite to contact Ken Pelton (kpelton@spokanecity.org), the Principal Planner for this project, or Tirrell Black (tblack@spokanecity.org), the Associate Planner. 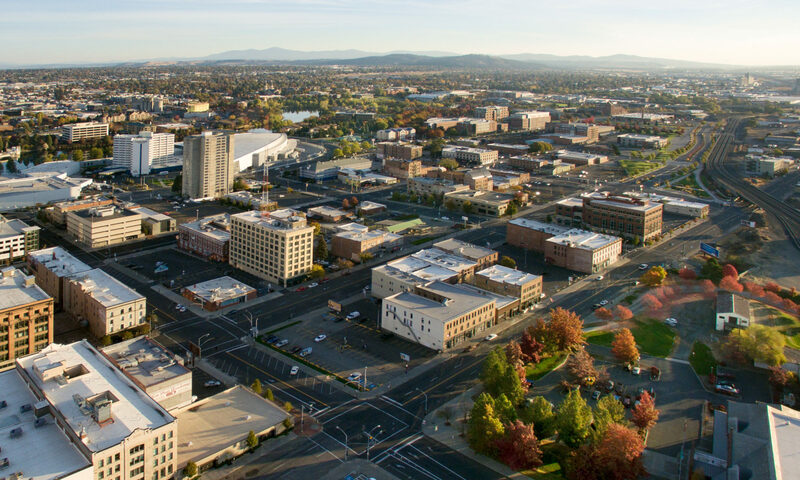 We at #spokanerising strongly encourage our readers to get involved in this project, email comments, and support a mixed-use development strategy for the neighborhood. Next PostNext KXLY land grab at South Complex?